Brand new experience PERFECT for ANY speed enthusiast. -Castle Combe, Wiltshire available for a £25.00 upgrade fee, due to it being a premium circuit. BRAND NEW FOR 2019!! This package makes a perfect gift for any self-confessed speed-demon. As with all our other Supercar Driving Experiences you have the option to have it dispatched as a Gift Voucher or as an email voucher, the difference is you are able to upgrade the package to how you would like it! The lucky recipient of the voucher will receive 3 miles in two incredible Ariel Atoms. 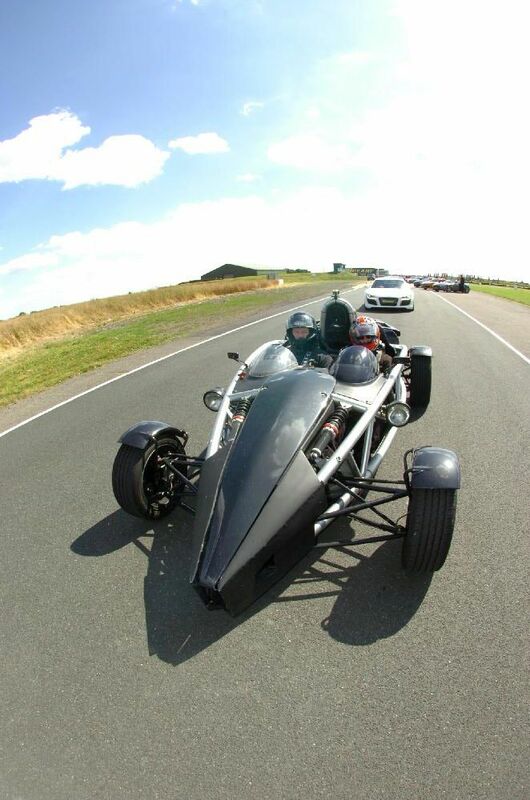 First up is the Ariel Atom Supercharged. Remember Jeremy Clarkson being rendered speechless on ‘Top Gear’ after driving in an Atom? The lucky recipient will be lucky enough to experience this first hand. This little beast has a 325bhp, accelerates from 0-60mph in just 2.8 seconds, and cornering abilities that will leave your stomach behind! Next up however, is the upgraded, Ariel Atom Cup Car. This pocket rocket packs a REAL punch. Its acceleration and power-to-weight ratio are extremely impressive! The cup car has a much more track-focused feel to it, with its track optimised suspension and greater resistance to the understeer. Unlike the Supercharged Atom, the Cup car skeletal bodywork has been upgraded in crucial areas to suit its role on the track, as well as enhancing the drivers safety. Upon arrival at the location, the lucky driver will receive their driver registration – to show their driving licence and fill out a few forms. Once this has finished, the driver will be shown to their choice of incredible Supercar for their drive. Afterwards, it is time for a quick chat and in-car briefing with the friendly instructor in the passenger seat, the driver will pull out of the pit lane for their 3 miles driving the Ariel Atom Supercharged around the chosen track. 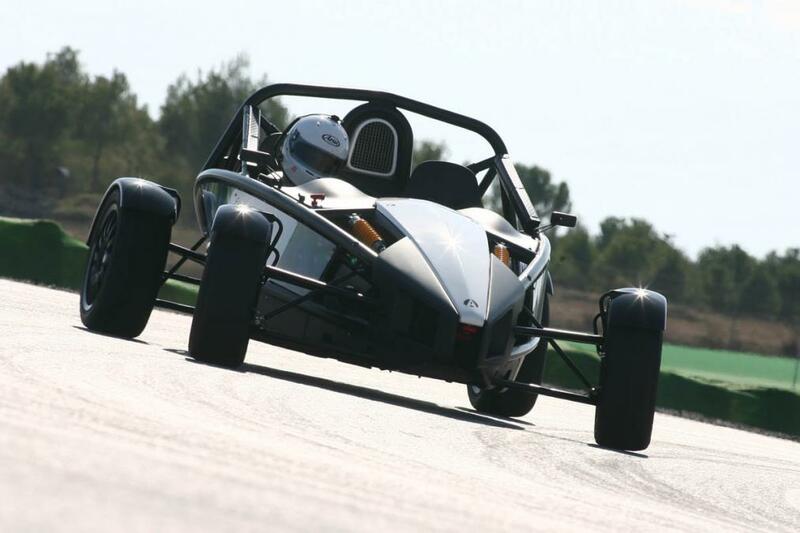 Once completed, the lucky driver will then climb into the Ariel Atom Cup Car for another 3 mile drive on the chosen track. Once composure has been regained, the lucky recipient will receive one thrilling lap as a passenger in our performance saloon car. 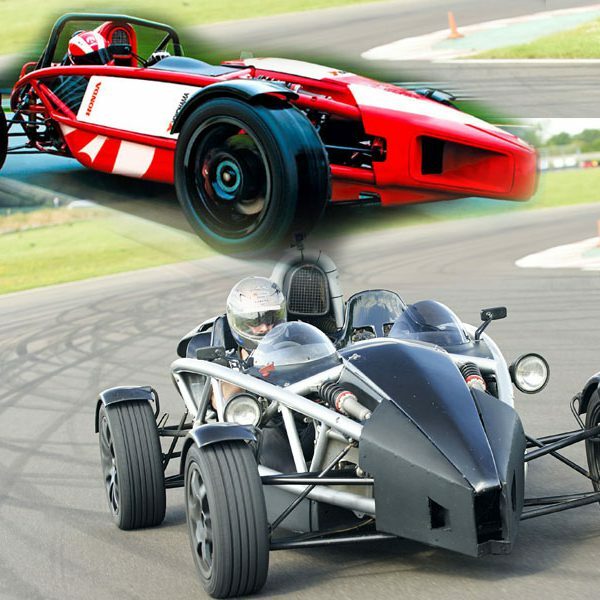 *This package can be upgraded to a full 6 mile drive for £30.00 fee, one demonstration lap can be added for £10.00, and you can also upgrade for a weekend event for just £10.00 (at the time of purchase). Please also note, to use this voucher at Castle Combe Circuit, it would incur a £25.00 cost. Valid for weekday events only, unless upgraded at the time of purchase for £10.00. If upgraded AFTER purchase, this becomes £20.00.